Co-sleeping is a controversial topic in child rearing. Some parents consider co-sleeping to be highly beneficial for the baby. Whereas others feel the opposite. There is yet another category of parents who prefer to co-sleep for a few months and then slowly move the baby to a crib once he/she picks up a sleeping pattern. 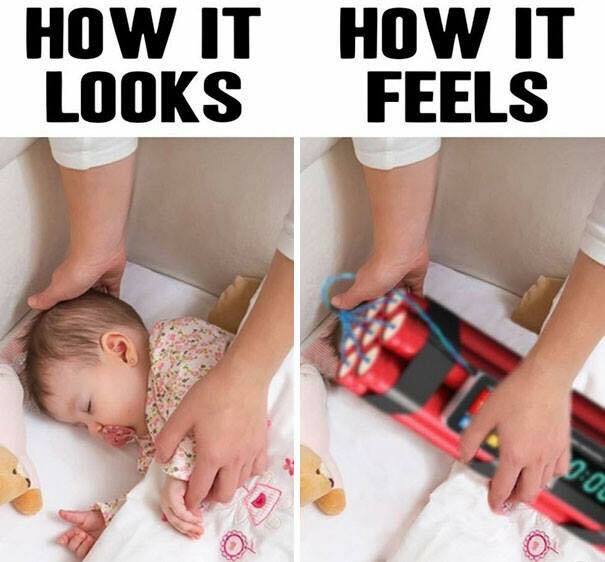 For those parents who prefer co-sleeping for a few months and move the baby to a crib later on, the transition is not so smooth. Just like the baby, the parents also find it difficult to adjust to the new sleeping pattern. But one thing you should be clear is that once you have decided to move the baby to the crib, there is no walking back. You should continue moving forward until the baby is fully settled in the new crib. When is the Best Time for Transitioning from Co Sleeping to Crib? The best time to transition a baby from co-sleeping to crib is when the baby is six to eight months of age. During this stage, the baby’s mental and cognitive development is half way through. Thus, the baby can understand the change, but it may not cause any distress to him/her. They are more aware of their surroundings and will be more interested in the new environment. Even if they feel out of place, they can self-soothe themselves. If the baby is between three and six months of age, he/she is not able to comprehend the change and may have a tough time adjusting to the new environment. Babies younger than three months of age are too small to understand the difference that they will adapt to the new environment fast. Once they cross the eight months milestone, you can try the transition between twelve and sixteen months. At this stage, they show a more independent attitude and most of the babies will be determined to complete the task on their own. Thus, there is a greater chance that the baby will adapt to the new environment. How to do the Transition from co sleeping? Here are a few tips to make the transition easy for both baby and the parents. Familiarize the crib: First of all, you should familiarize the baby with the crib. For this, make the baby play inside the crib when he/she is awake. Let them crawl and become comfortable being inside the crib. If your baby is slightly older and close to toddlerhood, you can explain the transition in a way the baby can understand. You can tell the baby about the new big bed and a new sheet. Entertain proximal sleeping: To make the transition smooth, you should give the baby ample time to adjust to the new environment. 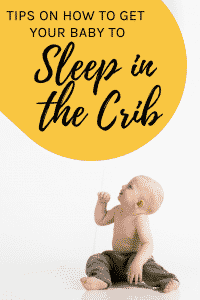 You should sleep beside the crib for at least a few days so that the baby feels comfortable. You can slowly move to sit in a chair and increase the distance from the crib. The first day you can stay away from the crib for three minutes and later increase it to five, eight, ten and twelve minutes depending on how the baby is adjusting. But you should never go near the baby, get inside the crib and lie down with the baby as it is taking a step backward. Use Slumber sounds: Slumber sounds or white sounds like that of a lullaby, ocean or heartbeat is soothing for the baby and make the baby sleep peacefully. You can practice using the white noise during co-sleeping and then carry forward the same sound during the transition phase as well. This will make the transition soothing and peaceful. Develop a bedtime routine: Developing a bedtime routine will make the baby aware that it is time to sleep irrespective of the place. Give a soothing bath in lukewarm water and feed the baby. You can even read out some story to the baby. Once this routine is developed the baby will automatically associate this routine with sleep. This will make the transition relatively easy. Give something that soothes: For a baby, there is nothing more soothing than having his/her mummy beside. Leave your shirt or anything that you frequently use with your smell on, so that the baby can cuddle it and sleep. Even if the baby happens to wake up from the sleep, he/she may not cry if the familiar smell is beside them. Buy a full-size crib so that you can use for a long time. Make sure that the mattress is firm so that the baby will not move to a dangerous position during the night. Do not place any additional pillow or blanket inside the crib lest the baby toss and turn and suffocate. The temperature of the room should be optimal. The baby should neither feel hot nor cold while sleeping. Follow the most recent safety recommendations for baby safe sleep. Just like any other transitional phase of the baby, co-sleeping to crib transition also requires a lot of patience. Make sure that you remain calm and do not get angry or shout at the baby when he refuses to sleep.